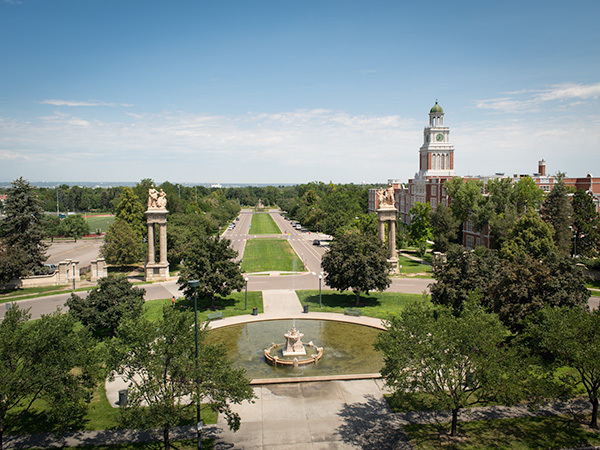 Extending from Colfax Avenue to Denver’s largest park, this quarter-mile long promenade exemplifies French landscape architecture principles of framed views, formal plantings, forced perspective, and cross-axial design. Attributed to Reinhard Schuetze and George Kessler, the esplanade was designed in 1905 and planted in 1907 but not fully completed until 1918. The north-south axis leading into the park was lined on each side by a single row of hawthorn bordered by a single row of elms to provide a sense of enclosure and create a visual screen for the adjacent East High School. Paralleled by dirt roads, the central axis was bisected by a footpath lined with 70 lamps and planted with flower beds and terraced lawns to reinforce the alignment at a pedestrian scale. 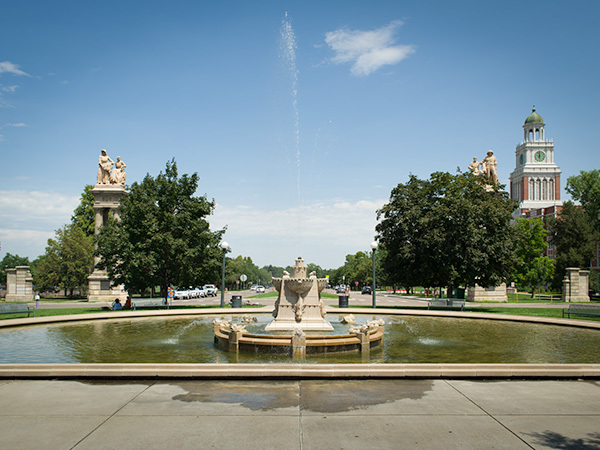 The esplanade, crossed by 16th and 17th Avenues, extended into City Park, though a roundabout just beyond 17th Avenue served as a transition from the formal axis to the park’s Picturesque qualities. 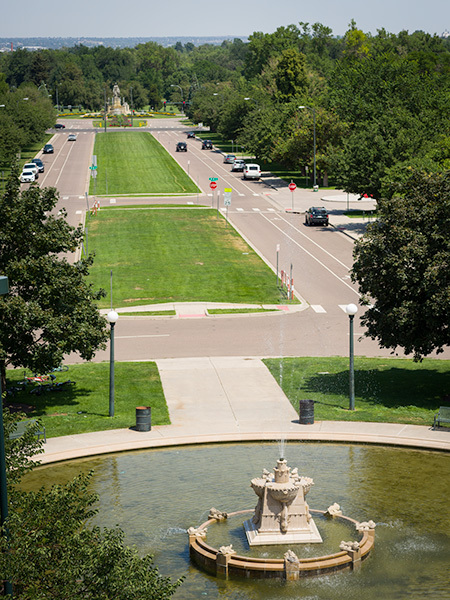 In 1914 Olmsted Brothers recommended the closing of the extension north of the roundabout and designed a revised planting plan that replaced the central walk with lawn and opened vistas across the park. 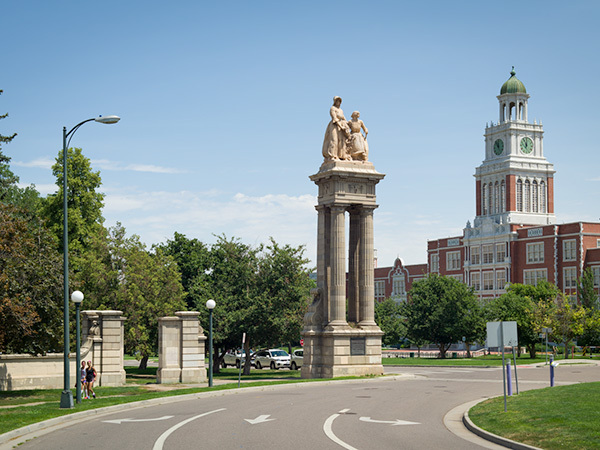 Three years later, architect Edward Bennett designed the Sullivan Gate at the southern terminus of the esplanade. 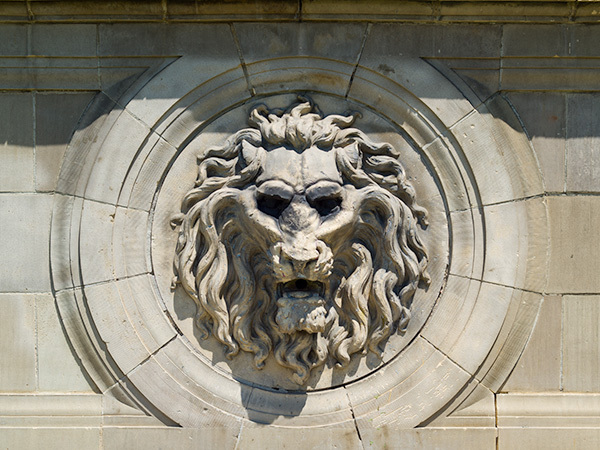 The ceremonial gateway was comprised of two 40-foot tall columns flanking a basin and fountain with terra cotta dolphins, lizards, and frogs designed by Leo Lentelli. In the roundabout on the north end of the esplanade, the Thatcher Fountain consisting of a 34-foot tall bronze figure sculpted by Leonardo Taft was surrounded by crabapple and juniper. 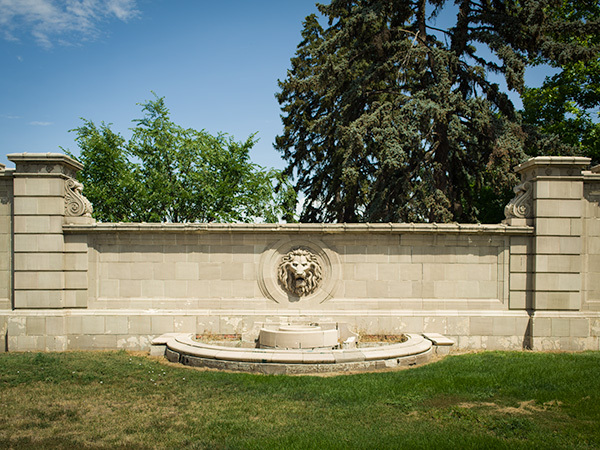 City Park Esplanade is a contributing feature to the Denver Park and Parkway System listed on the National Register of Historic Places in 1986.